One 18 karat yellow gold ring. One citrine (8.33 carats). Twenty-eight round brilliant cut diamonds (0.22 carats: VS clarity: G colour). 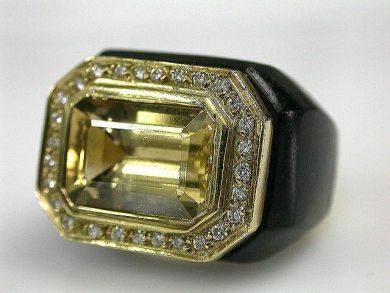 One ebony custom cut to surround the shoulder of the ring.